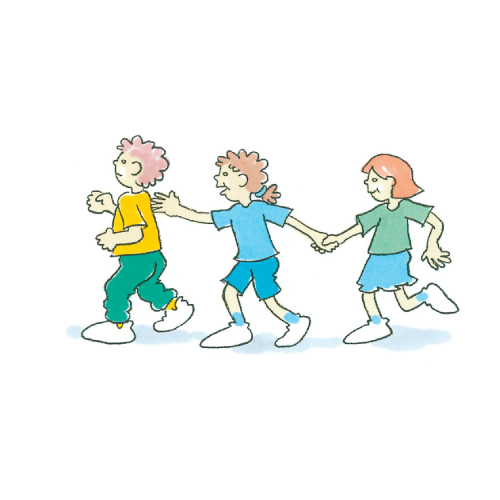 Chain tag is an activity that develops cooperative behaviours as players work together to move around the playing area. Players spread out within a designated area. 2 players are nominated as taggers and hold hands to form a chain. Holding hands they run to tag as many players as they can. Once tagged, others join the chain. Only outside hands can tag free runners, ie. first and last person of the chain. Is it easier or harder with more people in the chain? What is the best way to work as a team to tag players?